I am currently offering some of my earlier cards and prints at a special rate. 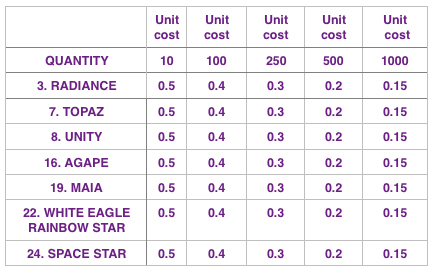 The card designs available are illustrated below with the prices below the image. 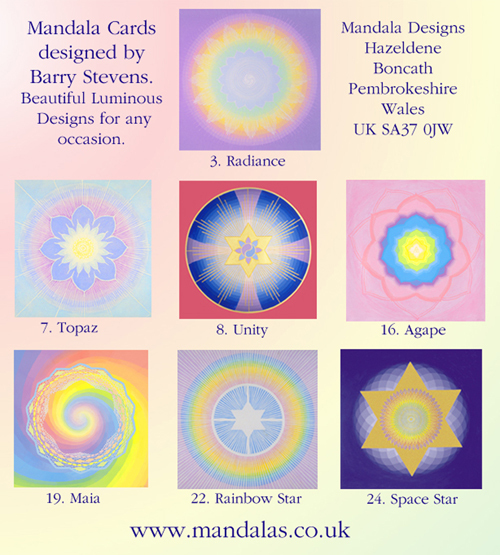 I also have three prints sized 14" X 14" of Pure Light, Radiance and Atlantis available at reduced prices as indicated on retail price list where they cost £2 each and wholesale price list where they cost £1 each. Radiance is listed below. Pure Light (2) and Atlantis (18) are illustrated on this page. I will need to calculate the postal costs for each specific enquiry or order. Also see lists for other card discounts.